Scott himself emphasizes a continuity between The Waterboys and his solo work, saying that "To me there's no difference between Mike Scott and the Waterboys; they both mean the same thing. They mean myself and whoever are my current travelling musical companions." More than thirty musicians have performed live as a Waterboy. Some have spent only a short time with the band, contributing to a single tour or album, while others have been long-term members with significant contributions. Scott has been the band's lead vocalist, motivating force, and principal songwriter throughout the group's history, but a number of other musicians are closely identified with the band. Kevin Wilkinson, another original member, was The Waterboys' drummer from 1983?1984, and continued to play in some studio sessions afterwards. His most recent appearance was on A Rock in the Weary Land. He led the rhythm section of the group during its "Big Music" phase, sometimes without the assistance of any bass guitar. Scott describes Wilkinson's drumming as "bright and angular, an unusual sound". Karl Wallinger joined the group in 1983, shortly after its formation. He left the group two years later, but in that relatively short period made important contributions to both A Pagan Place and This is the Sea. He co-wrote "Don't Bang the Drum", the environmentalism anthem on This is the Sea. His keyboards and synthesizer work expanded the group's sound, and he also did some studio work for demo sessions. Wallinger's World Party project was heavily influenced by his work with The Waterboys. Roddy Lorimer's participation in the group began in 1983, contributing his trumpet playing "on and off" through 1990. He and Thistlethwaite took turns leading the brass section of the band, and Lorimer was also a featured soloist, most famously on "The Whole of the Moon" and "Don't Bang the Drum". He further contributed backing vocals to the song. His trumpet style is a combination of his classical training with an experimental approach encouraged by Scott. Lorimer returned for some studio work in 2006. Steve Wickham transformed the group with his joining in 1985. His strong interest in folk music directly resulted in the band's change of direction. His initial involvement with The Waterboys ended in 1990 when Scott and Thistlethwaite wanted to return to rock and roll, but Wickham rejoined the group again in 2000, and, as of 2007, continues to perform with the band. Described by Scott as "the world's greatest rock fiddle player", he has written more songs for the band than anyone other than Scott, including the group's handful of instrumental recordings. 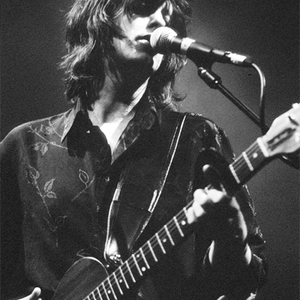 After 2000, Richard Naiff became one of the three core Waterboys members.Richard Naiff first recorded with the band in 1999, and joined permanently in 2000. As of 2007, he is a core member, along with Scott and Wickham. He is a classically-trained pianist and flautist, and plays keyboards for The Waterboys. Ian McNabb described him as Scott's "find of the century" and reviewers have described him as "phenomenally talented". Other notable members of the band include bassist McNabb, leader of Icicle Works; Sharon Shannon, who became Ireland's all-time best-selling traditional musician; the experimental musician Thighpaulsandra, producer Guy Chambers, and Patti Smith Group drummer Jay Dee Daugherty.